One year ago I posted my opening thought on this site. Now I sit with over 85 posts talking hockey. My site continues to grow and with the season getting ready to start, you'll see additional drills and articles appearing to help you coach your team. Thanks to all my viewers who continue to come back and view the site. One thing I've noticed as I've started Summer workouts for our school program, is that I don't have a lot of basic skill building drills. I'll be adding those as the Summer goes on. 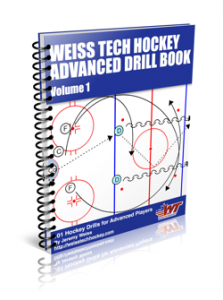 I've already drawn up a few drills that should help increase speed and improve stickhandling, so be watching for those. I'm looking forward to another exciting year of hockey. My average number of visitors is 350 per month and they average over 1000 page views.